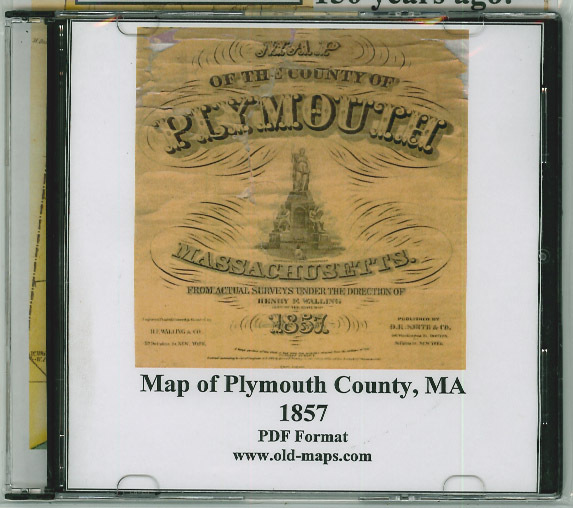 A CD ROM reproduction of the 1857 "Map of Plymouth County, Massachusetts" The original map (a large wall map) was the first complete view of who lived where in the 25 towns of Plymouth County. 1000s of sites - homes, schools, churches and businesses- are located and named. 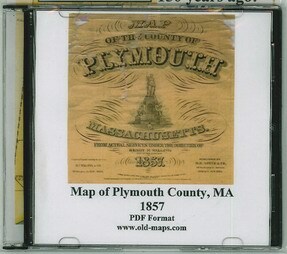 Maps and data on the original have been scanned for this reproduction. The original map was scanned at high resolution, but some names will be hard to read due to the age of the original. (*** SOME DATA is missing due to losses in our original - see the Table of Contents***) .